Gift Cards from Spa on the Avenue make the perfect gift for all occasions, order some today or call us to send one to a friend! 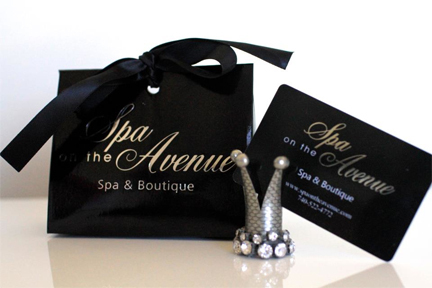 Spa on the Avenue Gift Cards are non refundable and cannot be replaced if lost, damaged or stolen. Gift Cards must be presented at time of service. Gift Cards may be used towards any service, except hair. They may also be used towards any professional beauty products or items in our Spa Boutique. You can order them in $50, $75, $100 and $200 amounts, order as many of each as you like. If you are ordering a Gift Card and want to send it to a different address please change the shipping address on the Paypal checkout page.